If you just can’t get enough of peanut butter, then our Powdered Peanut Butter is for you. It boasts 70% less fat than regular supermarket peanut butter, while keeping the consistency and rich taste you know and love. Plus, it’s available in Original, Natural or Chocolate! Why choose Powdered Peanut Butter? Our powdered butter is a versatile ingredient that can be used in baking, cooking and as a spread. You can also get creative with your protein shakes by simply adding a spoonful for a fantastic flavor boost. 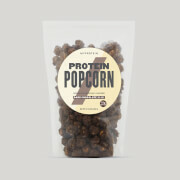 Plus, it’s a great way to increase daily protein intake. Ideal for use in shake, as a spread or cooking agent. To Enjoy as a spread, simply mix 1-2 tablespoons of powdered peanut butter with 1 tablespoon of water and stir lightly. The nutritional information is based on the Original Flavor version, when choosing an alternative flavour the nutritional values may vary. Peanut butter powder with added salt and sugar.Chocolate flavor peanut butter powder with added salt and sugar.Natural peanut butter powder with no added sugar or salt. I mix this powder with my post workout shakes and occasionally even coffee (you just have to keep stirring). If you are looking for a peanut butter taste/flavor in your protein shake/pancakes/smoothie/just straight milk... the you shouldn't hesitate. Of course, it's not the exact same and peanut butter, but with the same amount of protein(~6g) and only (~2g) FAT!!! it's definitely a steal. Wait till it goes on sale, buy the 16oz one, and never look back. Goes very well either with sweet or savory dishes. This taste much better than another brand I tried.Love how easy it is to mix. Has a good taste.No powered product will taste exactly like the real deal but it is pretty darn close. A no guilt treat! i absolutely love peanut butter- but could never fit it in my calorie /macro goals. When I found out about this, I fell in Love! I can easily have my peanut butter treats now, for only 45 calories! It mixes very easily with water or I even use almond milk to mix it most of the times. I've made little frozen "recees" treats with it, made some nice cream with it, and mix some up to put with cottage cheese and fruit. 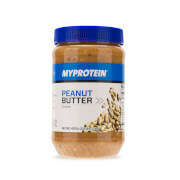 I definitely recommend for anyone who loves PB and is calorie / macro conscious. I purchased some protein and got this as a bonus. Its works great within my shakes and I will probably purchase the product in the near future. The peanut butter is great, but it’s really thin. You could literally pour it out of the container. Every time I put it on toast is drips everywhere. Tastes great though! Taste amazing. I add just a lil bit of water or almond milk to the powdered peanut butter to get that peanut butter consistency. The 17oz ran out so fast ): Hopefully they get a larger size soon. Tasty Peanut Butter For Less Calories! I was really surprised how good this tasted. Save calories and order you some powdered peanut butter!